About time to post a new recipe. I was visiting Finland earlier this week and spring happens to be the season for lovage there. Lovage is perhaps a little less known plant; it’s perennial, its leaves are used as herbs, seeds as spices and roots as vegetables. The leaves make for a stunning soup. 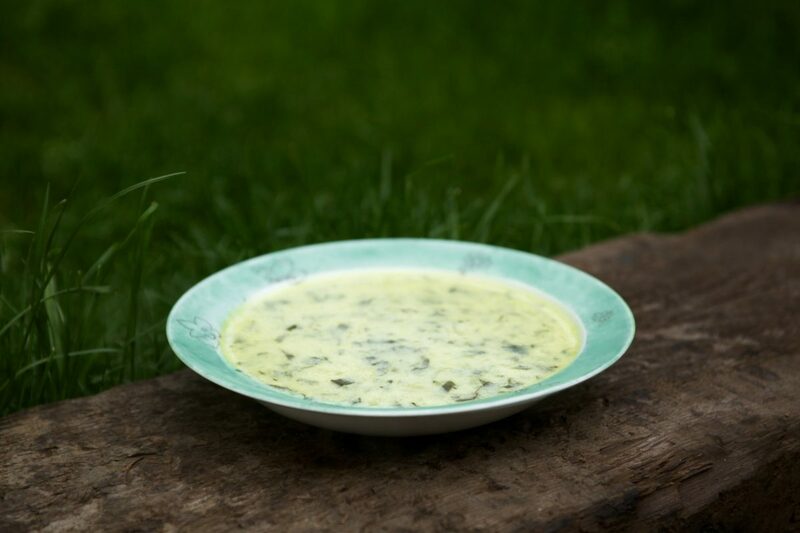 Lovely summer soup with a slightly unusual flavours. Called lipstikkakeitto in Finnish. 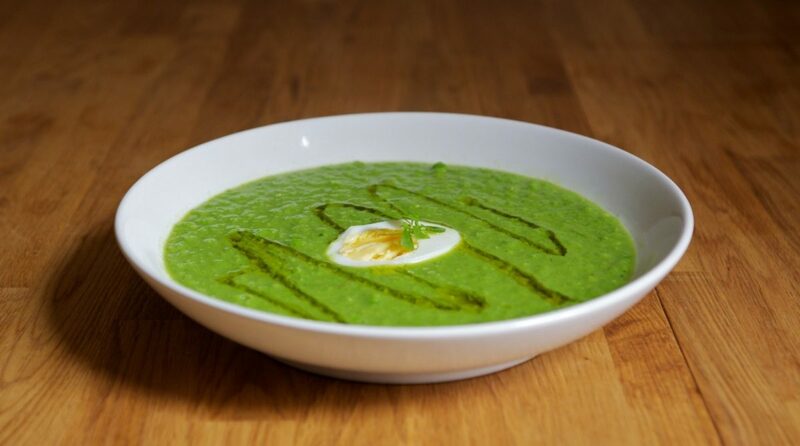 Pea soup is a traditional Thursday food in Finland. The tradition goes back all the way to the 15th Century when Finland used to be Catholic. People used to fast on Fridays so it was important to eat something nutritious and filling the day before. Although Finland became Lutheran in the 16th Century, the tradition lived on. Today many schools and the Army serve pea soup on a Thursday. For the same reasons, pea soup is also eaten on Shrove Tuesday, day before the fast begins. Most pea soup eaten in modern day Finland is made with dried peas and is sold in 400 gram tins. As my corner shop doesn’t carry any dried peas, I decided to make up the recipe with fresh ones. Better for it. The soup turned out lovely, fresh but also sweet and filling. I’ve not added any ham to keep this vegetarian but if you feel like it, throw in a couple of handfuls of diced ham about a minute before taking it off the heat. I’ve tagged this as vegan which it obviously isn’t. But if you substitute butter with vegetable oil and leave the egg out, the pea soup suddenly become suitable for vegan diets. This recipe serves two as a main or four as a starter. Last summer, we had a lovely dinner at Fishers in the City, a very nice fish restaurant in Edinburgh. I can’t remember what I had but Darina’s starter was much more memorable; gherkin soup. I had never heard of such soup before and apart from few recipes online, it’s not well know. Perhaps that’s because gherkins aren’t as popular in much of English speaking world as they are in Scandinavia and Eastern Europe. This recipe is a sort of a combination of the few I could find, taking the best bits and keeping it very simple. 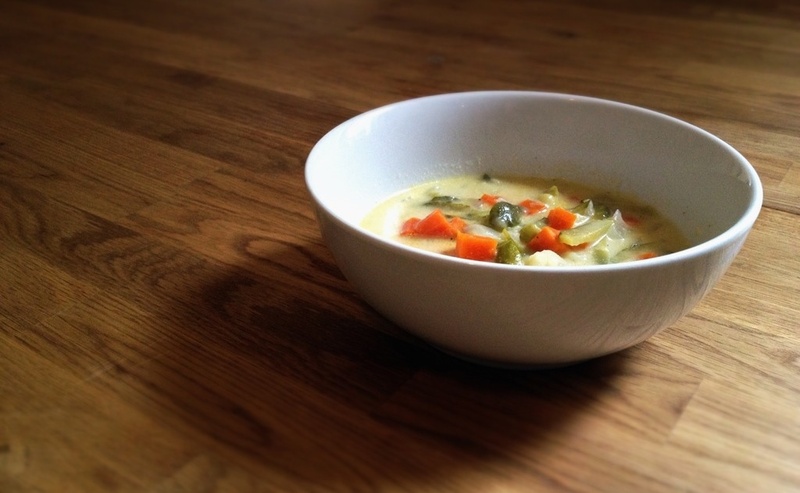 Unlike many vegetarian soups I think the gherkins bring a bit more body and distinct flavour. We had this as the soup course on our Christmas meal this year. It’s great as it’s easy to make, I’ll make mine in the morning and heat it up for serving.